February is here. And everybody wants us to think about hearts and love. As with anything good, too much of it makes us either ignore it or hate it. But here is the thing. The most powerful thing in the world is a heart full of love. Have you stopped to think what matters most in your life? Many people think that money is what matters the most. And if you look around at how many people are trying to make more money, you would think maybe that’s true. Because money is a wonderful thing. I’m not putting money down. But you know what? You can’t bring it with you when you die, and it won’t make you happy. Money will give you temporary gratification. It will make you feel important for a while. It will give you some freedom to travel, to buy more stuff, to get a abetter car. But money without heart is destructive. You need to have heart in what you’re doing in your business, in your marriage, with your family, and most importantly with yourselves. You see, money doesn’t wipe your tears. Money doesn’t hold your hand. Money doesn’t hold you when you’re trembling in fear. Love does! If you want to fully tap into the power of your heart, you need to act with love in everything you do. 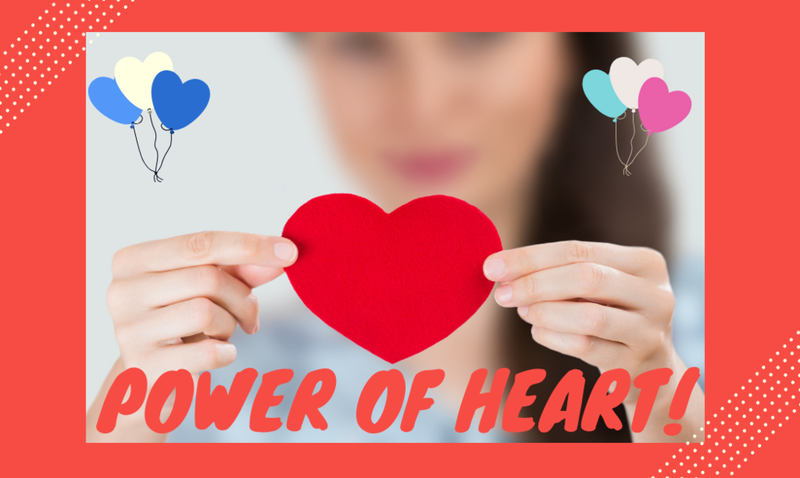 You can say to your employees that you love them, but you show them your heart when you. . .
quietly give that grieving person a word of encouragement. send a thoughtful gift to that newlywed couple. give a ay off to a mother with a sick child. You can say to your partner that you love her, but you show her your heart when you. . .
help with the household chores. send a quick text expressing appreciation for something specific they did. You can say to your child you love him, but you show him your heart when you. . .
take time to go to his game. play with him even though the laundry will have to wait. listen to the rant of your adolescent. You can say you love yourself, but you show your heart to yourself when you. . .
take time to read something inspirational before you start a busy day. go to sleep at a decent hour to be fresh in the morning. ask for help when you are overwhelmed, instead of trying to do everything yourself. Showing your heart is what really matters. When you show your heart powerful things happen. Conflict decreases, hope increases, connection brings joy, your life, and that of others flourish. Show your heart by your actions. Don’t put it off! Acting on your love will deepen your connection sand bring more joy into your relationships at work or at home. I invite you to become involved in our 21 days Joyfully Us Challenge It’s a fun way for couples to build a habit of focusing on the positive and being joyful together. Click on the link to learn more about it.